Great! Client was super happy. Small crowd and they killed it. Would request the same 2 guys again. It went great! The guys were really entertaining, and our customers really enjoyed it. We really appreciate all of your help! Everything was terrific! 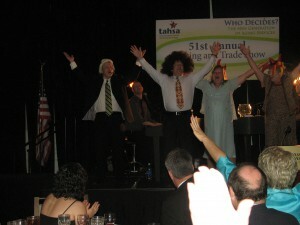 You guys made the booking process easy and our attendees thoroughly enjoyed the performance! 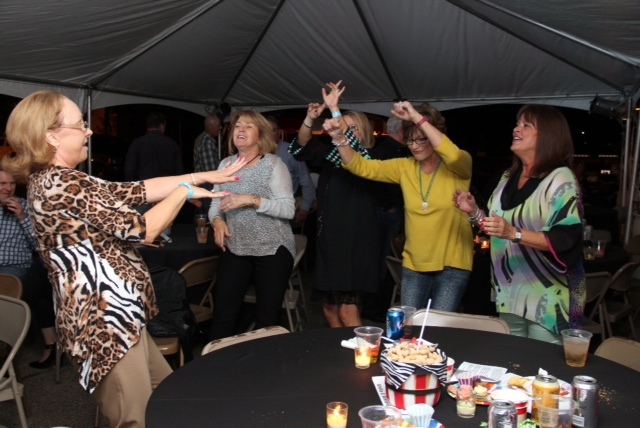 It was upbeat and lively… a perfect choice for our annual meeting party! Thank you for being part of our holiday party and for playing such gorgeous music for us! We had a lot of fun, such a wonderful performance. ExxonMobil people were really impressed with the professionalism of your performers!! The show was fantastic, and entertainers were great. We received a ton of compliments and are appreciative at your staff’s professionalism and attentiveness when reading the crowd. It’s unanimous, that we all LOVED it and had the best of times that night! I can not say enough great things about the two piano players you sent ?! They were fun, super engaging, and had us all belting at the top of our lungs with them! We loved them so and they fit right in with us! Thank you all again so much for a seamless show, we had so much fun! I think the show went really well. We had a great turnout and the piano performers didn’t disappoint. The crowd really engaged in the show. Very happy we booked with you guys and hope to do it again soon. The two men that came were SO NICE and SO PROFESSIONAL! Poor things were sweating like crazy setting up all the equipment, but never complained…even when I goaded them by saying, “I guess you drew the short straws!” Thankfully, it cooled down and the weather was PERFECT! They were very complimentary of Texas and the people here…I just can’t say enough about what great guys they were!! When people kept eating, they assured me they were okay with waiting until the time was right to begin so the show would be the most successful it could be. Again, they never let on that this would make them an hour or more late to their hotel. I was as impressed with this as I was with the OUTSTANDING performance they gave. The crowd immediately got involved and their talent was obvious!! They were masterful at getting the crowd to their feet and encouraging audience participation. Mind you…we had people from 90 – 9 months there, so they had to appeal to a large age spread. Most were family and, granted, they left a little early because they were driving back to Dallas, etc. which was a 2 hour trip. But the main people my daughter wanted to be there and have fun with HAD A BLAST!! She said her friends said it was the most fun party they had been to in a long time if not the most fun party ever!! I got tons of texts and emails telling me how much fun everyone had, and I was very pleased and, frankly, surprised at the professionalism. I wish I had told the guys more how much I enjoyed them and how grateful I was to them for putting their convenience after our needs. They were great!! I am so appreciative of everybody at your company for their help, their happy attitude and the generosity with their time. From the first phone call to the last goodbye, this was a fun, pleasant and memorable experience. Thank you from the bottom of my heart for making this special occasion one that we will never forget. I would recommend your company to ANYONE!!! Thank you again. This was our first time using Fun Piano’s and the show was AWESOME! The team at Fun Piano’s was very professional from first contact through the end of the show. Great performers kept the show high energy from start to finish entertaining the crowd. We contacted Fun Piano’s right after the show to start booking our next event. I highly recommend them. I can’t believe I’m saying this…this year was the BEST year of all!!! I didn’t know that it could get any better than the past two years, but our third year was awesome!! We would LOVE to have them back next year!! Thank you guys for being so wonderful to work with!!! Oh my gosh! It was amazing! The guys were top notch! We paid them to play an extra hour. I have had wonderful feedback. I think the crowd really connected with the guys because they had remembered them from other places! One group said they almost didn’t come because they go all the time when they go to the cities with piano bars and thought there was no way we could create something that fun in our town. the Pitser Garrison Convention Center in Lufkin Tx Saturday February 10, 2018 for their annual fundraiser! The Fun pianos dueling pianos show is excited to return again to be with the Odessa Jackalopes in Odessa TX at the Ector County Coliseum on February 3, 2018! The show was a big hit! I enjoyed it, and I have received a lot of very positive feedback!!! the performers did a great job. Everyone LOVED it! We are already talking about bringing you guys back next year!! Many thanks to Shell for having the Fun Pianos dueling pianos in Horseshoe Bay Texas at the Horseshoe Bay Resort on Wednesday October 18, 2017! We are very excited to be with the Special Angels of The Woodlands? on Sat 8/26/17 at Angel Oaks Events? in Spring TX. 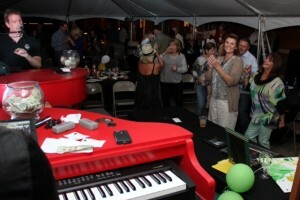 Dueling Pianos by Fun Pianos is always a hit at fundraisers! The Elusive Turkey in Winnsboro, Texas has dueling pianos by Fun Pianos on Thursday 8/24/17! We are looking forward to being with DO432 and their dueling pianos pool party on Thursday 8/24/17 at the Wall Street Lofts in Midland TX. Dueling Pianos with Fun Pianos had a blast last year, and are looking forward to more next week! Thank you so much! The show could not have gone any better! They did a fantastic job and we are more than pleased with how everything turned out! Thanks so much for checking in! Stephensville TX: Dueling pianos returns AGAIN with Fun Pianos! We are always honored to be the choice of Tarleton State University, and we’ll be back with them on 8/25! Stephensville TX loves Fun Pianos dueling pianos show! Everything was great once again! Guys are amazing! It was awesome! We have been doing this event for 7 years and the clients said it was the best one yet! Thanks so much for everything!!! The players were great. They had everyone on their feet, singing, dancing and laughing. It was a great party and I hope your entertainers had a good time as well. Words cannot express how amazing last night was- the crowd went wild and we all certainly did not want it to end. We are already in talks for contracting you. Words cannot begin to express how awesome Fun Pianos performance was for the Lake Conroe Area Republican Women – The event has been the “talk of the town” and people are still talking about how much fun they had! And others who missed out are asking when we are doing it again! A repeat performance could be real possibility! You were everything and more than what I expected! It was absolutely the most perfect fundraiser I could have ever asked for! Again, if you only knew the caliber of people you had on stage from the U.S. Congressman to all the judges and local elected officials – you would have really been surprised! I think that’s what made it so fun was to see these men and women in a different light! The guys ROCKED the place! The piano guys were AWESOME! The show was AMAZING!!! The players were FANTASTIC!! All the feedback has been awesome, and our board is already starting to discuss next year’s show! I am still so excited about how everything went! Thank you guys so much for all your help and for putting on such a great show!! Just wanted to thank you guys for everything. The dueling pianos was a hit, everyone loved it! The visiting team we had in town Amarillo, is interesting in bringing you guys as well. 2015:The players were great as always. Thanks! 2014:I wanted to let you know how much we appreciate your wonderful pianists! They were both great and we had a wonderful and successful event last night. I’m sure we will be interested in doing this again in the future. Thank you so much for all your help! I just wanted you to know how incredible Friday night was. Your guys were extremely professional and really got my crowd to have a good time. We will definitely look into having you back! It was wonderful!! Your staff was professional and on time. Our Attendees are a high powered firm based out of Dallas and they were very impressed. Big Hit! It was so great!!! Thank you! People really enjoyed the pianos and thought it was so unique and fun! It was so much fun I cried when the wedding was over because I didn’t want it to end!! Last week was a blast! I think our Employees LUVED the music, and according to the players— our Employees were much more involved this year than last. Thanks so much for everything! Hi Amy. The guys were amazing, We got excellent feedback and they were a pleasure to work with! It was a hit!! We had great reviews from everyone. Thanks again. We really enjoyed having them and it was pretty unique doing this deep in the woods, but it was perfect. Both of your guys were more than ideal and really had the crowd going. Thanks again for putting this together! Just wanted to drop a line saying that we had a BLAST at our company holiday party, thanks to your fantastic piano players! The office has not stopped talking about it! I felt bad because the valet was so backed up that we had to cut into their show to do some announcements. But the players handled it like that was the intention and never skipped a beat! I just wanted to say thank you and that we enjoyed the show last night at 10 Sports Bar. It was so AMAZING that we want to do it again. The show was fantastic, both of the guys were very engaging with the crowd. We received many compliments from our guests, so much we are thinking about possibly doing another show early next year. Thank you for all of your coordination! 176 Keys Fun Pianos were a huge success at our 2014 Chili Cookoff! Their fun environment and easy going attitudes made our event the best it has been yet. Southwest Airlines would highly recommend 176 Keys Fun Pianos for any company event! Working with Fun Pianos was a true pleasure! Their response time was always quick and they provided exactly what we needed! On site their performers were very flexible with the scheduling and changes of our program. Performers did an amazing job and our guests really enjoyed the event! You guys are great and easy to work with. 176 Keys Fun Pianos provided a quality show to our donors, season ticket holders and volunteers at Orange Fever Fiesta. Needless to say, you all lived up to the hype the many good reviews stated. They were an amazing couple of guys and are very admirable. We absolutely loved the show! We couldn’t be more happier with our choice to pick 176 Keys for our reception. The music got people up to dance, even those that I have NEVER seen dance before. We had an amazing time and we wish we could do it all over again. The event was a HUGE success last night. We’ve never had the entire crowd involved before and it was amazing!!! The show was absolutely amazing! We literally could not have asked for a better show. We had an absolute blast and our friends and family did as well. The dance floor was packed the entire night and everyone was talking about how great the piano’s were. Thank you so much for everything! It was absolutely fantastic! The show was awesome and we got a lot of great feedback. I was nervous the musicians would have a hard time getting the crowd engaged (lots of “stiffs” in my workgroup), but the guys were true professionals and they did an excellent job. By the end of the evening, everyone was out of their seat dancing and having a great time. I couldn’t have been happier with the performance, and will be sure to recommend you guys for future events. Thanks so much to for all of your help with this! The show was great, and the audience LOVED it! We’ll definitely strongly consider doing this again next year for this same event! I heard nothing but great things. I know there were some challenges on our end for the set-up, but overall we had a great turnout and the students really enjoyed it. Thanks for everything! We were 1 of 7 corporate sponsors at a tradeshow who were able to host a hospitality suite. So there were 6 other parties going on at the same time as ours, sort of like a block party to kick off the event. We were looking for something entertaining that would keep people hanging around in our suite. I had seen a dueling piano show before, and so I started looking for one in San Antonio. 176 Keys was ideal since they were able to travel and provided all their own equipment. They were a big hit at the event. Everyone had a great time singing and dancing along to the songs. Throughout the night we had well over 70 people in our suite thanks to the dueling pianos (there were only 120 people total, so the rest were spread out over the other 6 suites). Our event was a huge success! Thanks 176 Keys Dueling Pianos! The show was so much fun!…We got a GREAT response! Thanks so much for everything. You have been great during this process and I really appreciate all of your work for this event.